Recently, a friend asked me to take a golf lesson with her. 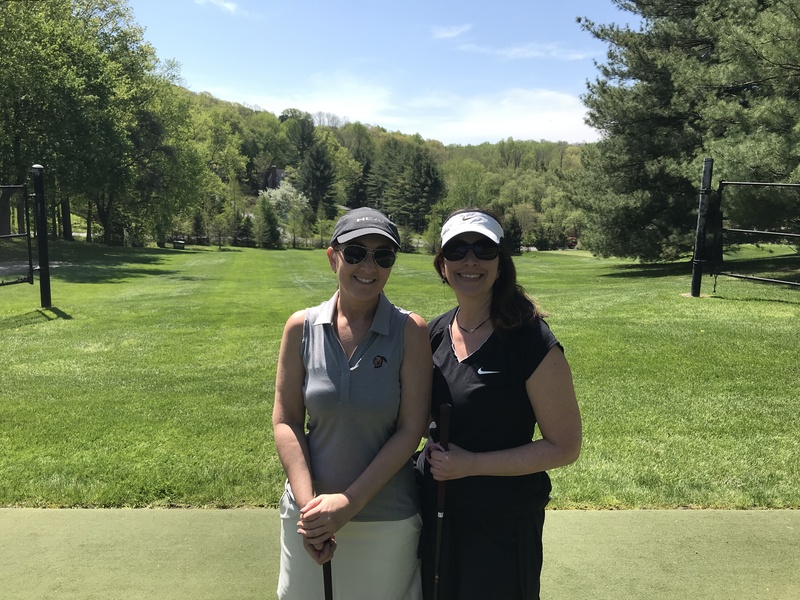 Now, I have never played golf, sure I’ve played mini-golf and have stood frustrated as the windmill kept batting my ball back to me, but actual golf – not so much. Reluctantly, I agreed thinking in addition to some embarrassment I might enjoy the fresh air. Arriving at the course, I was struck at the serenity. Apparently, people are much more chatty at the clown’s mouth than they are when tee-ing off. As the pro showed us a proper stance, grip and swing I watched closely trying to remember everything he was demonstrating. 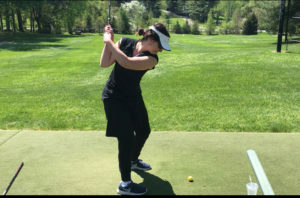 The pro explained to us how to stand, hold the club, the proper distance from the ball, and some other points of posture. This instantly reminded me of the six points of posture in meditation. I was accustomed to scanning my body for proper position and alignment and was mindful of how I was adjusting my body. I soon discovered just how much my meditation practice would be helpful playing this new sport. When it was my turn to drive the ball I felt sure I could do it. I approached the ball and put my feet a bit more than shoulder width apart, arms forming a ‘V’ shape, loosening my grip, I looked out onto the greens imagining where my ball might land. Then I brought the club back fast and swoosh! I missed the ball completely. I smiled and shook it off. The pro approached me and reminded me to just focus on the technique of the swing and not worry about where the ball was going to go or if it was even going to make contact. Hmmm, I thought, another similarity to mediation. In Buddhist philosophy, letting go of the outcome is key to one’s peace of mind. I was going to listen to what the pro was saying, focus on the technique and the integrity of the swing. Now, I’m not going to say that the next swing went sailing but as the day continued my swing improved. I became more focused on the action in front of me that I was able to be present in that moment rather than worrying about if the ball would fly out there in the next moment. Focus is important in golf as in life: if your mind is all over the place, and if your concentration is poor then you’re not going to do your best. If you’re thinking about the next thing, then you’re not focused what you’re doing in that moment. Additionally, if you are wrapped up in the prior moment for instance upset about the last shot, you bring stress and anxiety to your next one. As I brought that being present to my game, I found myself not only getting better but enjoying the moments: the grace of the ball making contact, the birds overhead as we walked to our next destination and the warmth of the sun. Mindfulness and meditation can be applied to any sport and many other areas of life. I implore you to reflect on those lessons and focus on where you are in that moment. I’m sure if I continue to play, I will find some more similarities to these teachings, but for now I will just try and make contact with the ball and enjoy the good weather!